Cheesecakes have an exotic feel, and yet they are so easy and quick to prepare. Sinful Lemon Cheesecake is a no-fuss recipe that starts with readily-available digestive biscuits as the base. Within minutes, the nice crumbly biscuit base transforms into a dessert beyond comparison, once it is filled with rich cream cheese and topped with a zesty lemon sauce, which gives it an attractive glaze finish! You can show off your culinary skills by making this superb dessert. Don’t set yourself worrying though, because this is quite easy to make. The secret behind this Chocolate Cheesecake is the use of good quality dark chocolate, and melting the chocolate for the right span of time only. A soft vanilla sponge cake with a topping of creamy mango cheesecake, garnished with finely sliced mango. Traditional indian flavour converted to a western dessert. Coffee cheesecake pie is a lip smacking pie recipe with Maxwell House coffee mixed with caramel sauce drizzled over the pie. The cheesecake pie has a delectable combination of cream cheese, eggs, sugar and is garnished with fresh raspberry and chocolate leaves. Simply divine! 1.if cream cheese is not available then one can substitute it with cottage cheese. 2. let the cheese cake in the refrigerate cool overnight or atleast for 5 hours. The lemon cheesecake recipe has the cheese cake mixture flavoured with a zesty lemon juice that lends its characteristic freshness to this dessert. 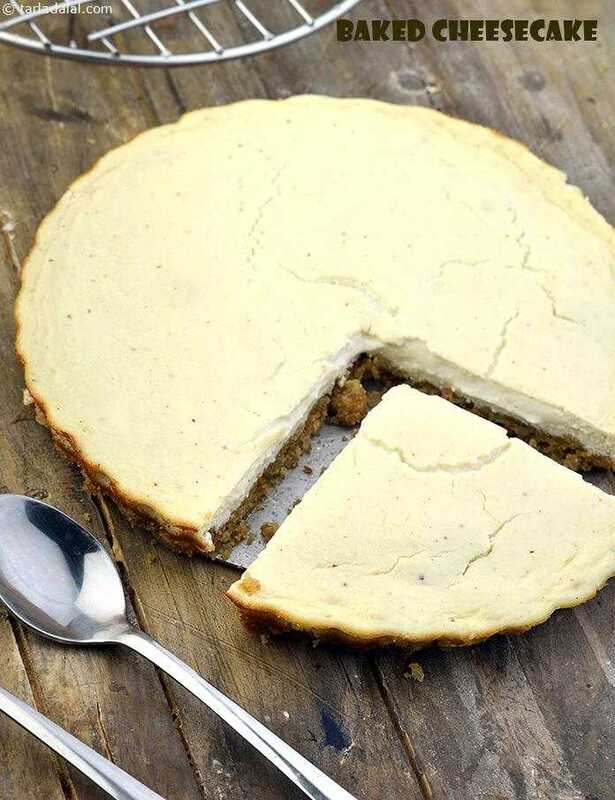 The sugar substitute added in the cheesecake recipe makes it a perfect low cal choice even for diabetics. Try this Cinnamon honey cheese cake with a classic creamy flavour enrobed in sweet honey taste and crushed nuts. Flavoured with freshly extracted lie juice, the Lemon cheese cake is a lip smacking and cool dessert item. The cheesecake mixture is baked and then chilled. Relish with lemon wedges as garnish.